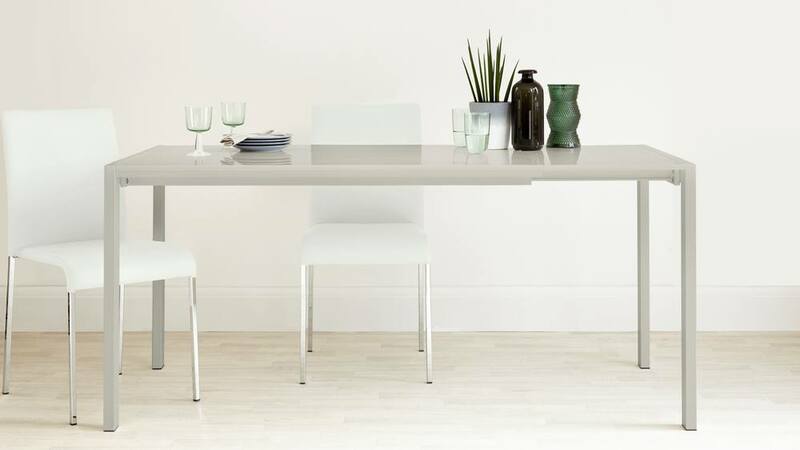 If you're looking for an extending dining table that is sleek, streamlined and stores the extension leaves in the top, you're in luck! 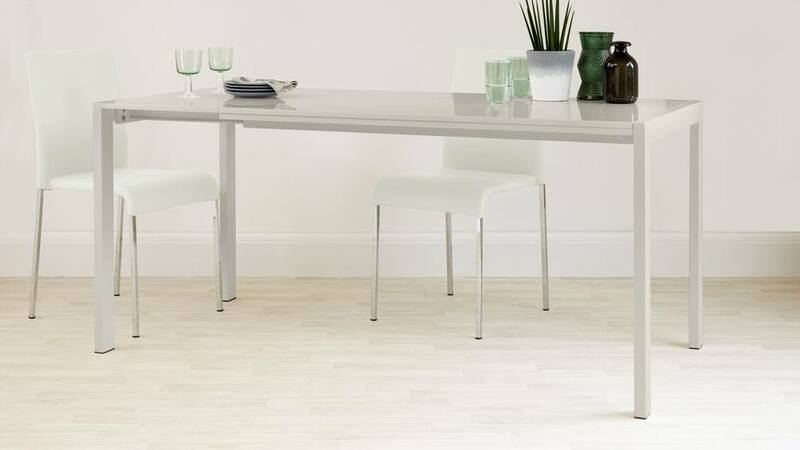 We might just have what you're after with the Metro Grey Gloss and Finn Extending Dining Set. 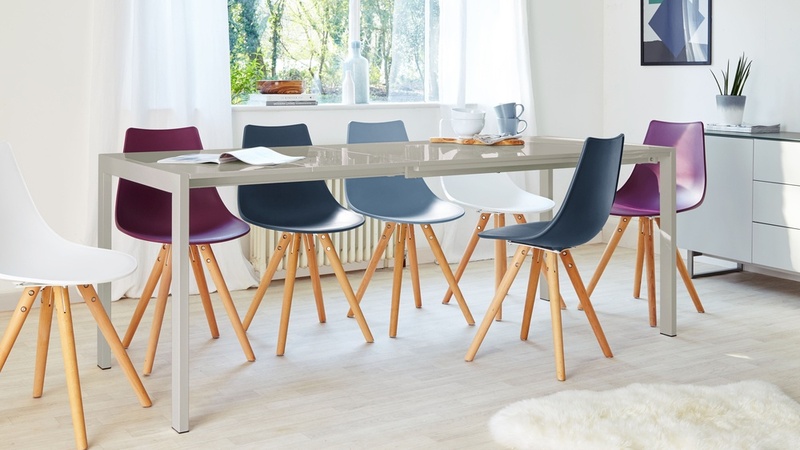 This modern dining set combines a handy extending dining table with the equally as stylish Finn dining chairs. 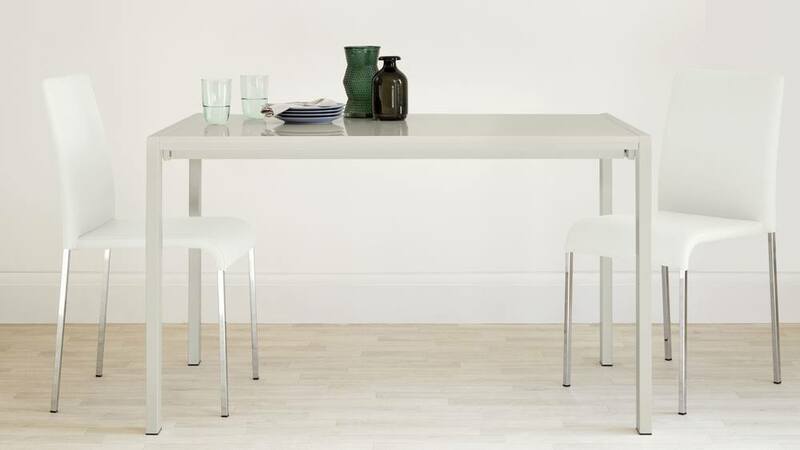 It is a dining set that's been designed to effortlessly bring style, comfort and practicality to your home. 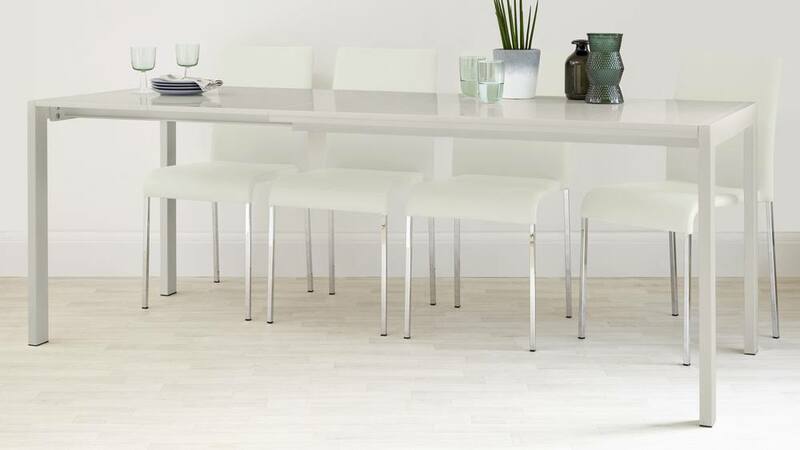 The smooth surface of the grey gloss finish will add such a warm and welcoming feel in any dining space. 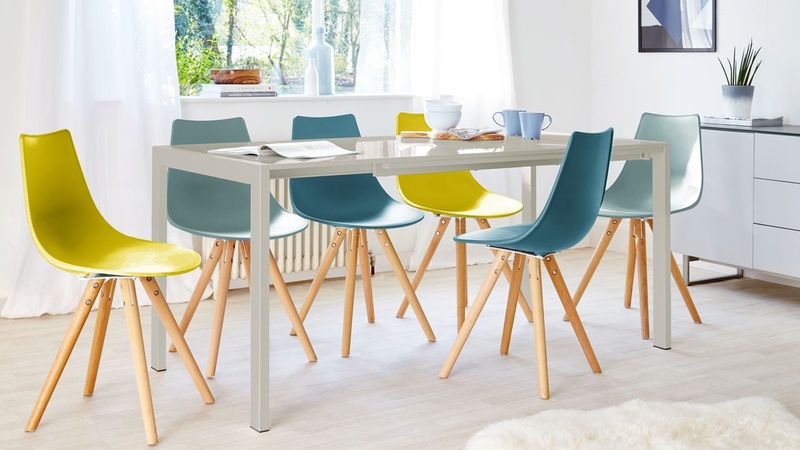 It's also really easy to coordinate with a range of colours and finishes, making it an ideal pairing with the colour varieties of the Finn chair. 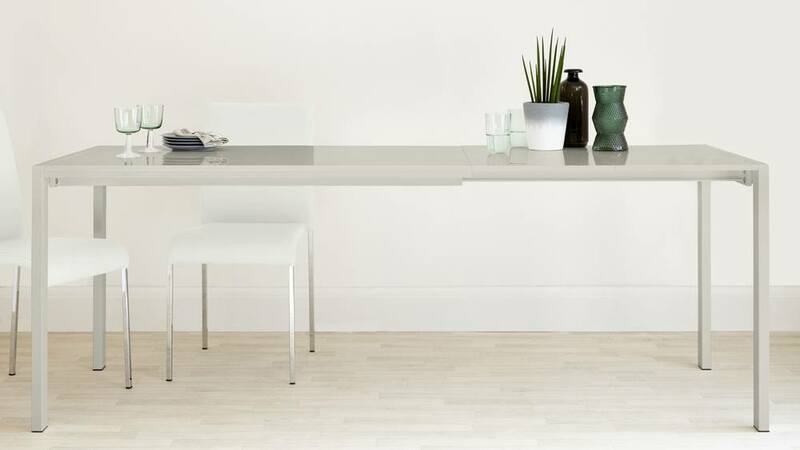 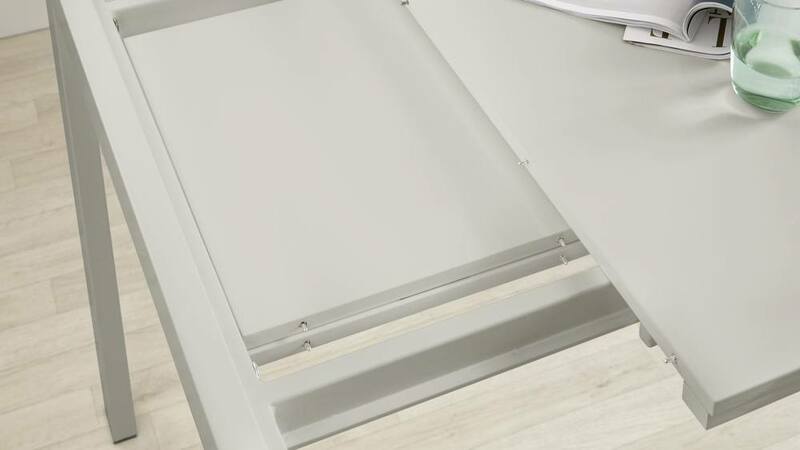 The extension leaves for this table are stored within the top but you wouldn't know it, as the table still maintains a super slim profile from all angles. 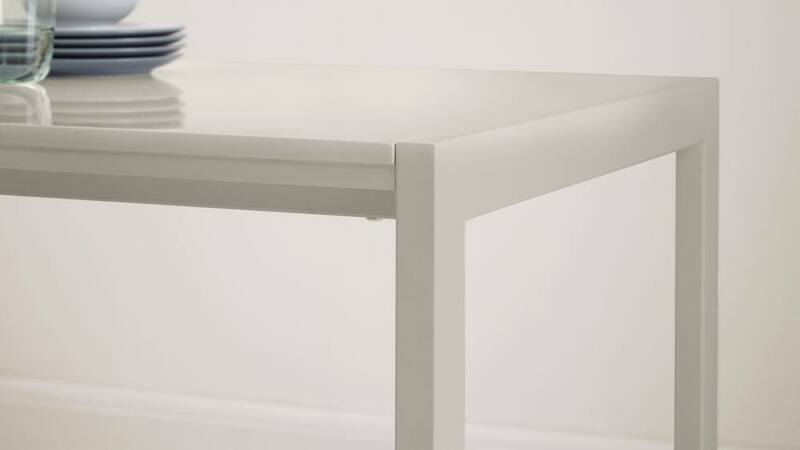 This is not only a stylish design feature but is also great for saving space..
With 2 leaf extensions and 3 flexible size options the Metro table can fully extend from 126cm to 206cm in length, seating between 4 and 10 guests. 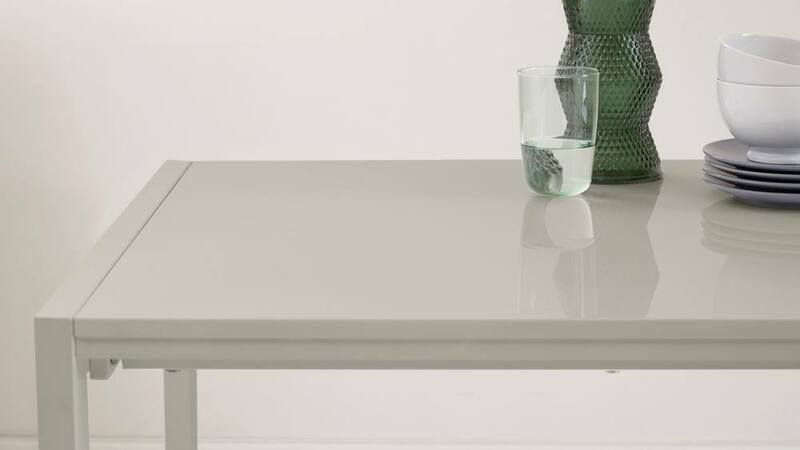 This allows you to have even more choice where you place the table, how you style it and how many guests you want to seat. 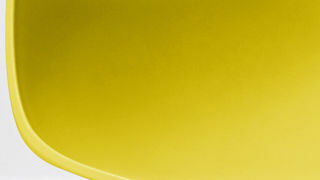 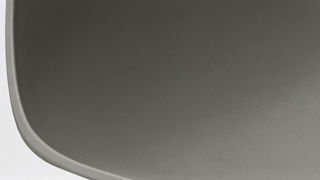 The seat of the Finn Dining Chair is made from Polypropylene. 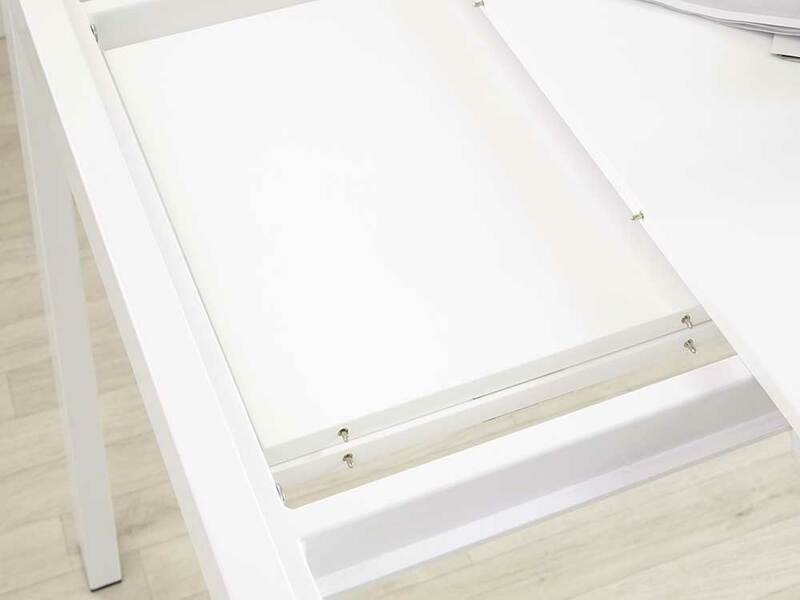 This clever material choice means that the chair has a wipe clean and durable finish that won't show grubby fingerprints, resulting in easy cleanups after busy mealtimes. 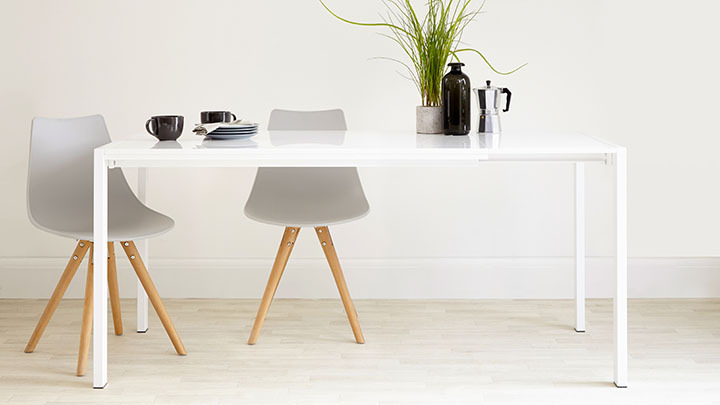 The Finn Dining Chair is available in a variety of colours, hand picked by our in-house design team. 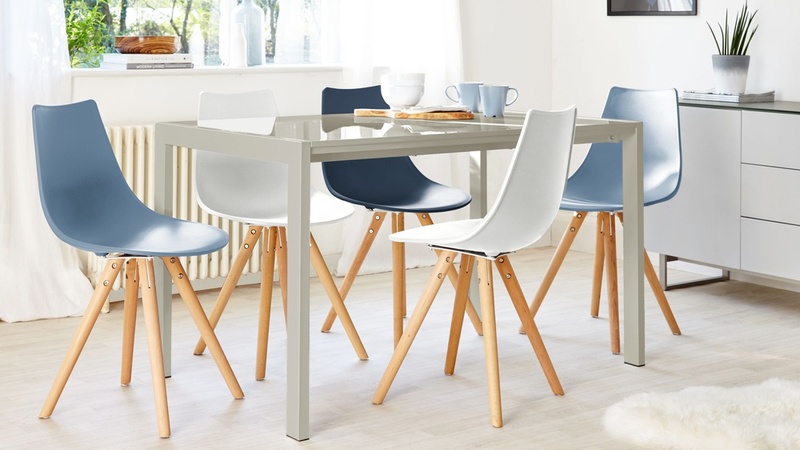 By selecting a range of subtle muted tones and positive accent colours, our Finn chairs beautifully blend together, complementing almost any interior scheme. 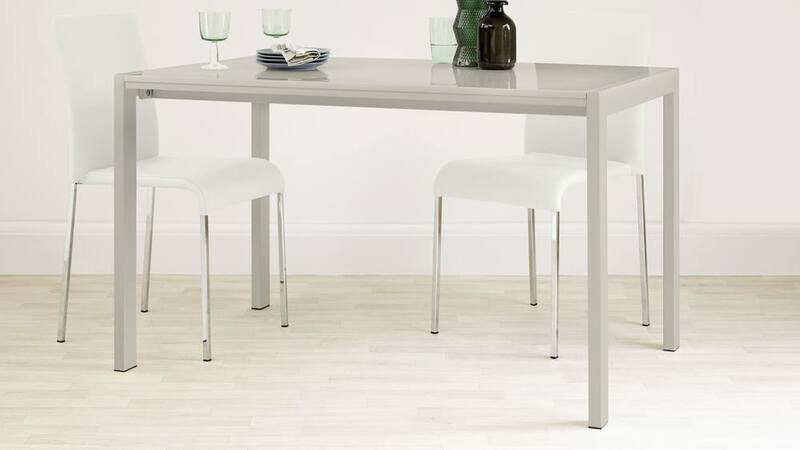 For more information on each product, why not take a look at the Metro Grey Gloss Extending Dining Table and Finn Dining Chair separately. 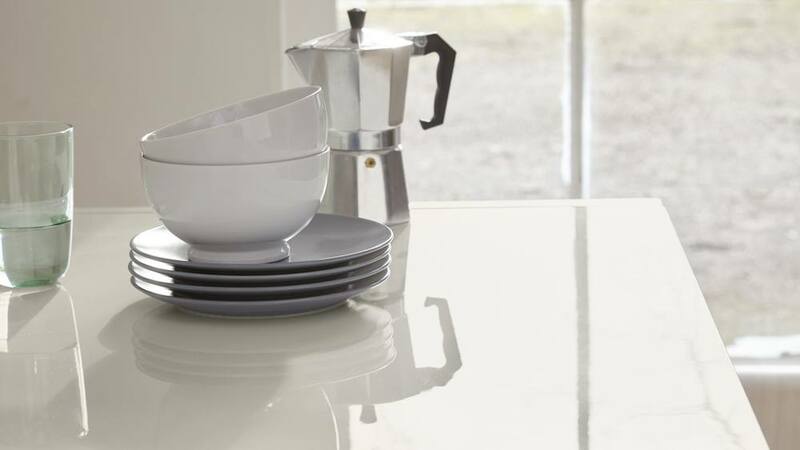 This set is also available with a white gloss finish.